To encourage and promote quality in the breeding of Purebred Norwegian Elkhounds and to do all possible to bring their natural qualities to perfection. To urge members and breeders to accept the standard of the breed as approved by The American Kennel Club as the only standard of excellence by which Norwegian Elkhounds shall be judged. To conduct sanctioned and licensed specialty shows and obedience trials under the rules of The American Kennel Club. Need more information about PSNEA or Norwegian Elkhounds Contact Us. 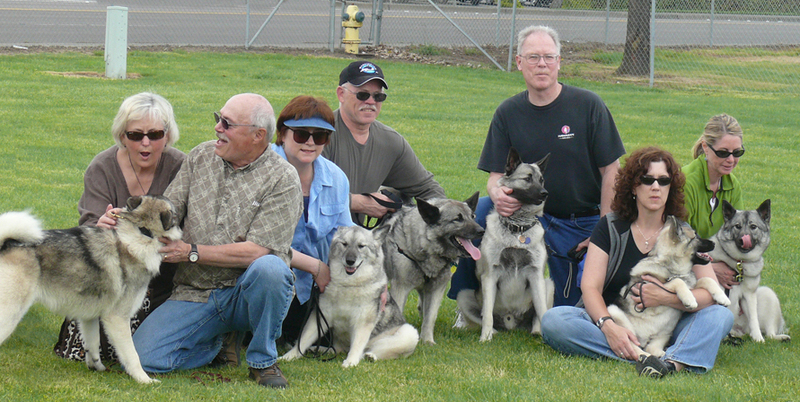 The Puget Sound Norwegian Elkhound Association (PSNEA) is the second oldest Elkhound club in the US, with Minnesota being the very first club to organize. The best estimate shows PSNEA was organized in 1950. PSNEA is a member of the Norwegian Elkhound Association of America (NEAA) and the American Kennel Club (AKC). What a legacy the pioneers of this club have left when they decided to join forces to promote and enjoy this great gray dog of Norway. Throughout the Pacific Northwest, and the world for that matter, breeders, show families and companion owners have enjoyed the work, devotion, sweat, tears and money that have made these dogs so very special to us. Pacific Northwest Kennel names are recognized everywhere. PSNEA members come from Washington, Oregon, California, Idaho, Montana and Alaska. Our focus is to provide the public with knowledge of our breed, to assist current Elkhound owners with their dogs and most important to help potential Elkhound owners obtain a family pet, a quality breeding Elkhound or a dog from our Rescue Program. We hold our annual Norwegian Elkhound Specialty Dog Show in August in conjunction with the Olympic Kennel Club Open Dog Show. 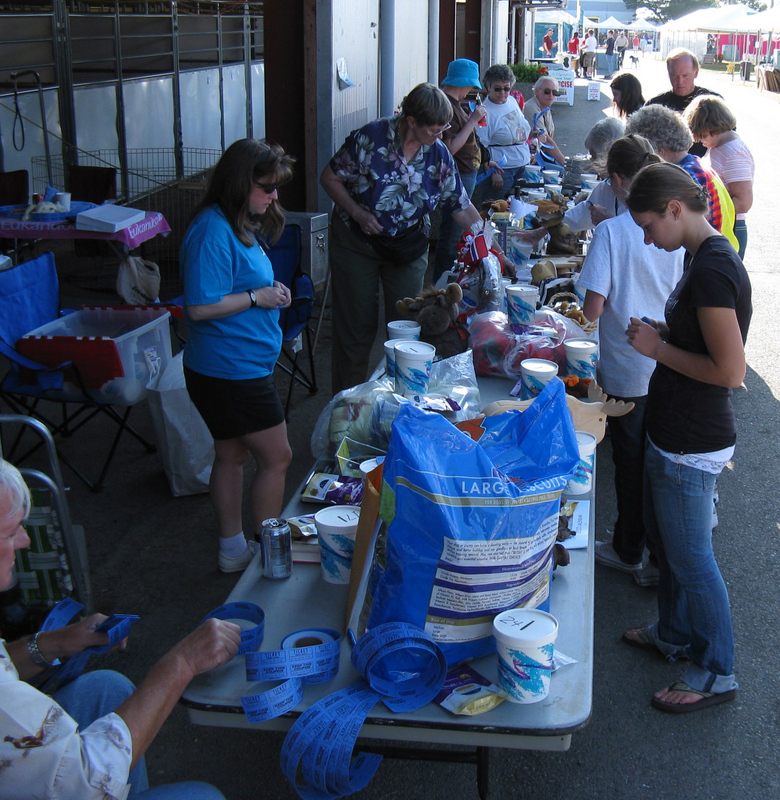 This four day event is held at the Enumclaw Washington Expo Center. Our Elkhound Specialty is held on Friday and the Olympic Kennel Club Open Dog Show is held on Saturday and Sunday. Most club members compete all three days. 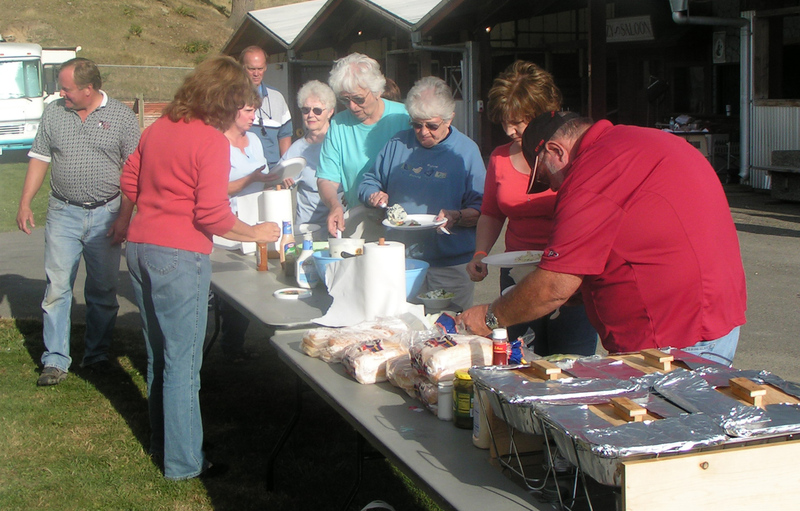 After our Specialty we hold a parade of rescue dogs and host a big BBQ and a raffle. The proceeds from the raffle supports our rescue program. We've rescued Elkhounds from the Mississippi to the Pacific Ocean, Mexico to Canada. Rescuing dogs can be a large and sometimes expensive operation. With our far flung membership this is a special time for us to get together. 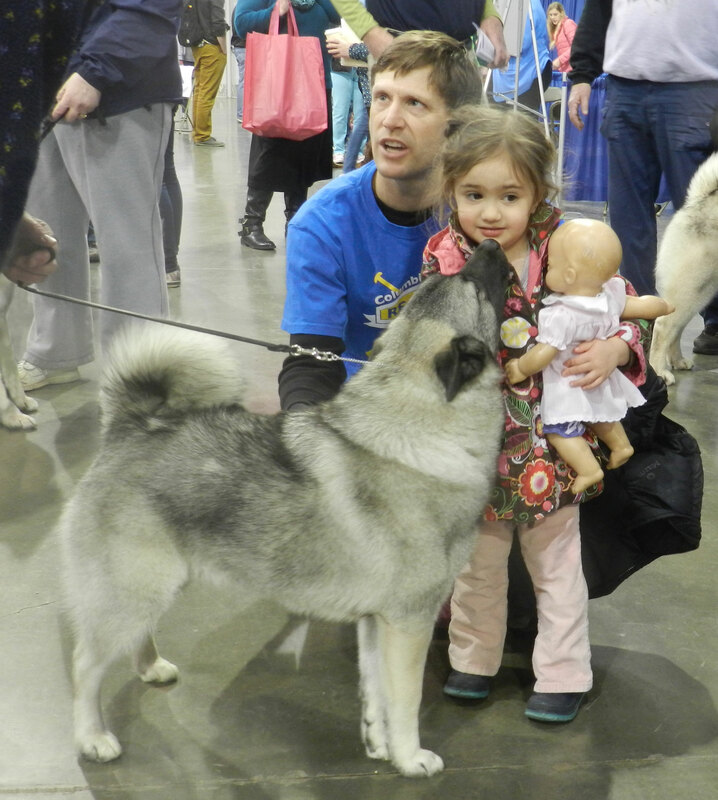 It’s also a great opportunity to meet new and potential new Elkhound owners. PSNEA has a very active Rescue Program through which we place and support many Elkhounds who have lost their owners for one reason or another. Last year we placed 6 dogs and 6 to date this year. We’ve flown dogs from all across the country to our rescue focal in Portland OR to be placed in new or foster homes. We also work with the Seattle Purebred Dog Rescue to help Elkhounds that end up in a shelter or are in need of being re-homed. At the parade of rescue dogs we give a basket of goodies to each current year rescue dog in attendance and an opportunity for each owner to tell us about their dogs. In conjunction with the three day show PSNEA sponsors an all-breed eye clinic conducted by Paul Sherlie, DVM, Clackamas OR. Dr. Sherlie is very popular; his clinic keeps our members busy from morning to night. During the show we will examine the eyes of 200 or more dogs. The convenience of the eye clinic is great for all responsible breeders who wish to do health tests on their breeding stock. Our proceeds are used to sponsor our Rescue Program. Rose City Classic "Meet The Breeds". 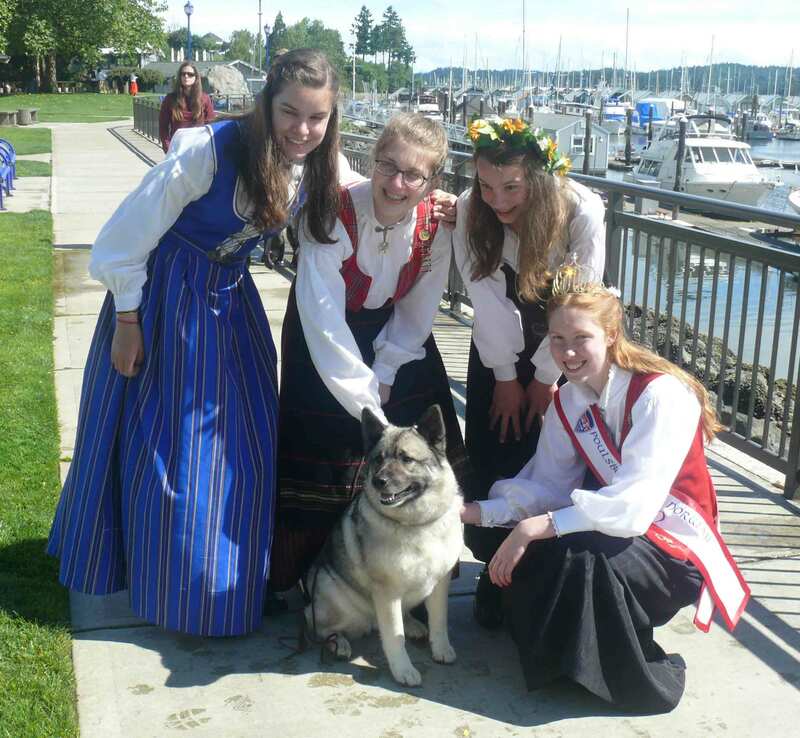 PSNEA participates in the Poulsbo Midsommer Fest.